Dear Summer, as amazing as you are, this heat is totally cramping my style. Born and raised in good old Chucktown, I am no stranger to the summer heat waves that accompany Lowcountry living. Beaches are my playground of choice, so when the weekend hits I pay no mind to the scorching sun. BUT, the struggle in real during the work week when I try desparately to look fresh as a daisy in killer Beckett threads when its 100 + degrees outside. A short walk to Kudu coffee (literally around the corner) and I return looking like I just did hot yoga. I won’t even go into detail what becomes of me if I try to exercise before work (yikes, look away!). However, I am no quitter and I will not let my favorite time of year dull my style sparkle. I am embracing these rising temps and facing them head on! Are you using major “potty words” while trying to style sweaty hair? Is your makeup melting off your face? Do you cringe when staring at your denim collection? Well my friends, I am happily here to help. Honestly, I only have 2 hairstyles I work with. I either wear my hair down with some light waves (thank you curling wand, you are my bff for life) and my dirty-hair-day Top Knot. I wish I had a dollar for every time someone asked me how I do my top knot. I have been doing the same knot for years and its super easy no matter what length my hair is. 3. take the remaining hair sticking out on the mini bun and wrap it around the rubber band. Tuck the hair into the rubber band in the back. During the summer months, my hair stays bundled on the top of head at 3 days a week and ALL weekend. It’s time to give your neck a break to cool off and free your bathroom from hot styling tools. 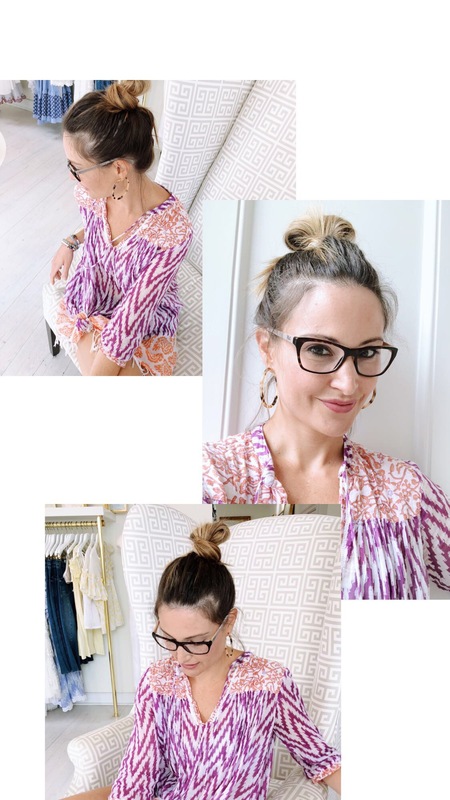 This top knot trick will keep your tresses well styled even if sweat is the only product you have to work with, haha. Sweat & makeup definitely do not win couple of the year. By mid day, I feel like whatever makeup I applied in the a.m. is either non existent or caked in places where it totally should not be. Plus, my daily skin care routine always includes sunscreen, so if my makeup sweats off so does my sun protection. A blogger buddy of ours, Megan Stokes (@holycitychic), recommended this mineral powder sunscreen to me last year and it has revolutionized my summer face. 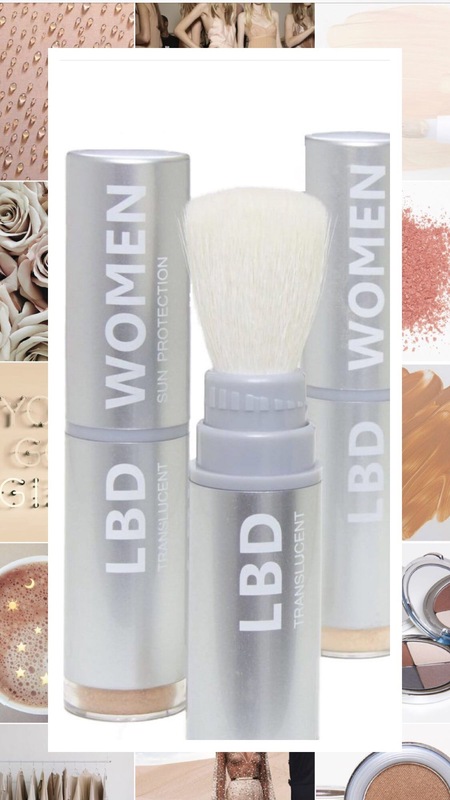 It actually goes on over your makeup which is a sun protection bonus because it gives your additional SPF. It is super easy to apply and it’s portable so you can throw it in your bag and reapply as needed. My absolute favorite part of this product is that the powder absorbs any sweat so you instantly feel re-freshed without feeling cake-y. There are many options out their in the world of mineral sunscreen, but we Beckett Babes like to keep it natural, so my fave is La Bella Donna natural mineral waterproof sunscreen SPF 50. Its all natural, chemical free, and doesn’t clog pores! 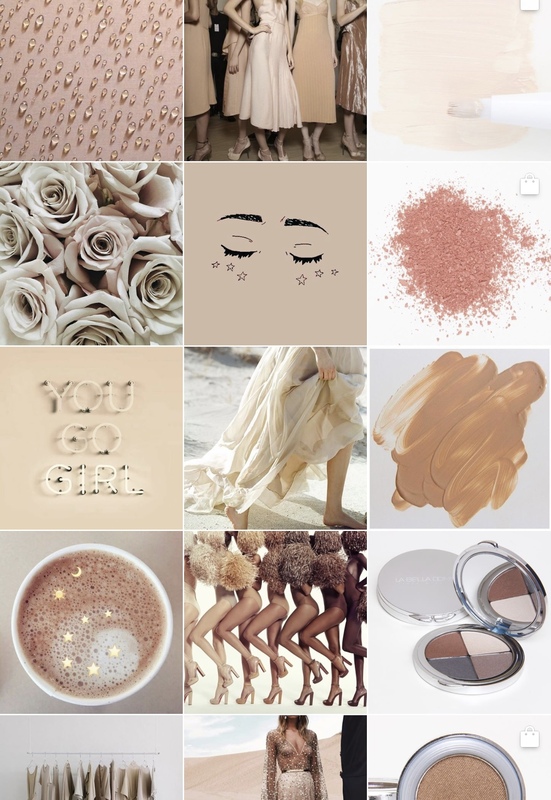 Sunkissed skin looks fab, but your poor epidermis is dying of thirst! It is really important to keep your skin hydrated from the inside and out. Obviously, your H2O intake needs to step up in summertime, but how you moisturize you skin is super important too. I used to slather on lotion to soothe my sunny day skin, but I always felt so greasy if I started to sweat. I discovered this trick in a rush when I grabbed the wrong product on my way to gym. After my post workout shower, I realized I packed my kid’s aloe instead of my usual lotion. I applied it as I would my lotion, and I was immediately hooked. 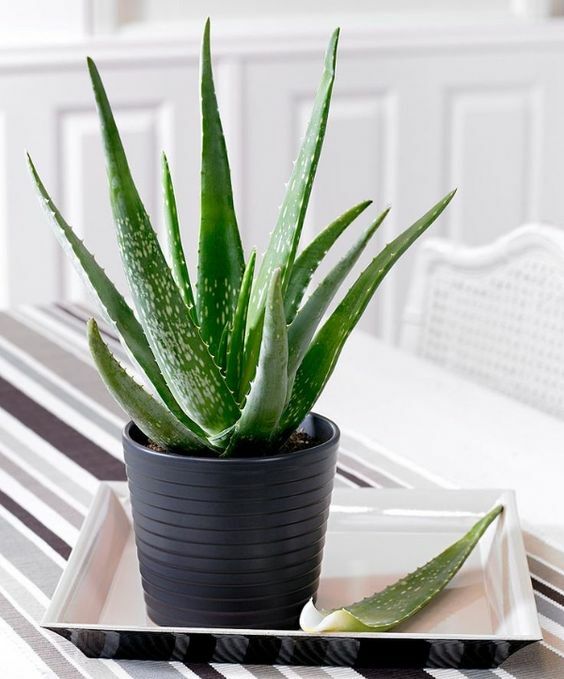 I had only used aloe in specific “over burned” situations and never on a daily basis. My skin felt hydrated, not greasy, and instantly cool! I still use my body lotion before bed but during the daytime, I love to use Amara Organics Aloe Vera Gel. When the heat index is over 100, you really can’t even think about wearing much more than a bikini. For those of you who have a life where grocery shopping in a bikini is totally normal, I applaud you. For the rest of us, finding a look that suits sweltering temps can sometimes be a challenge. They call it a “sun dress” for a reason. They say wear white when its super hot because it keeps you cooler. They speak the truth. It’s time to stock up on your white sun dress options. 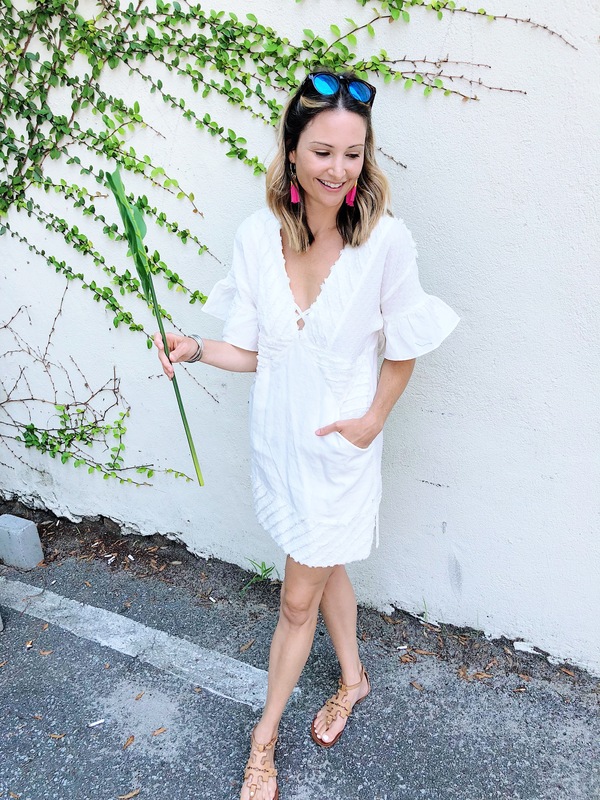 A white summer dress can be office appropriate, easy to pair with any accessory, and feels like you literally are wearing nothing on a hot day (winning all around). We have a love affair for white threads at Beckett so if you are lacking in this category, come see us! I used to walk to work in my 20’s (pre kids cool urban chic) and I would always walk and munch on frozen grapes. The little slushy bits of icy sweetness totally kept my body temp down as I rolled into work. To this day, I still use this trick for beach days, work day snacks, and picnics with my kiddos. 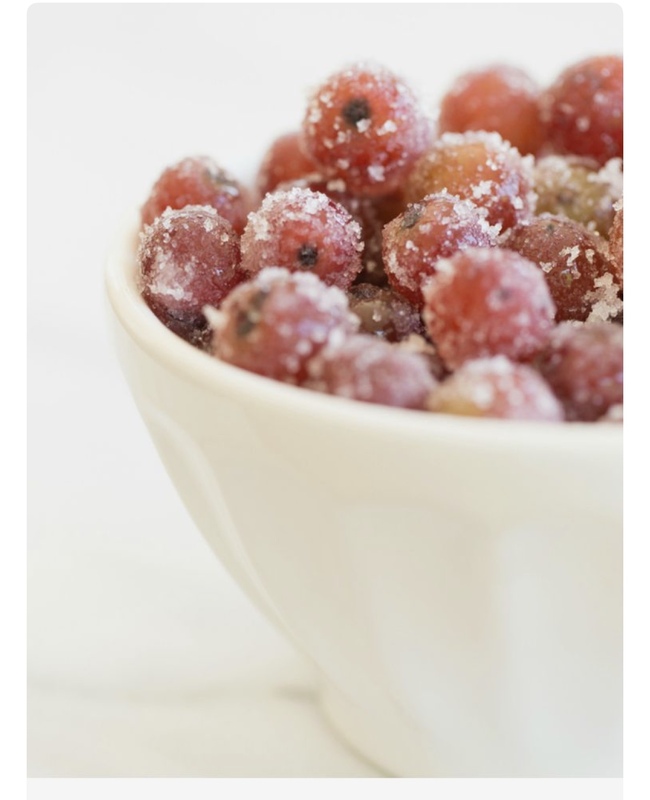 I recommend freezing these sweet bites overnight for the best results. This healthy treat is a hot day indulgence without any guilt! Yum!! Stay cool, my lovely Beckett Babes!